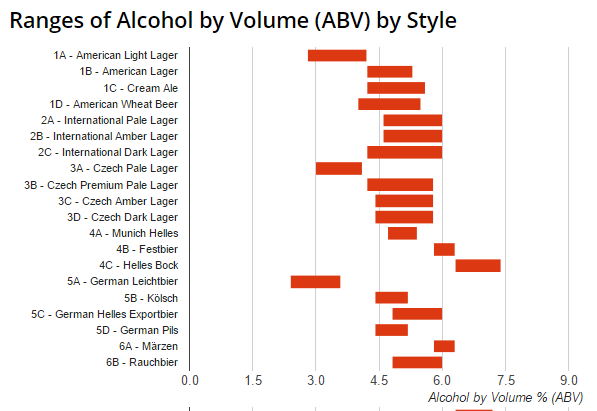 We've updated our popular Alcohol Range Graphs with the latest BJCP beer styles. This chart shows the BJCP beer styles and their alcohol by volume (ABV) ranges in bar graph format. Data for these charts come from the the Beer Judge Certification Program (BJCP).